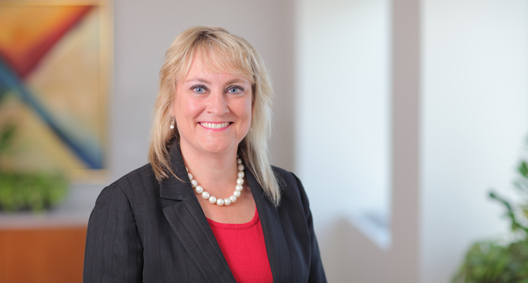 [Deborah Wilcox has] "a fine-grained understanding of IP matters," and "is also a brilliant relationship lawyer." An experienced trademark lawyer, copyright practitioner and first-chair litigator, Deborah Wilcox is a go-to intellectual property (IP) attorney. Deborah assists her clients in selecting, registering, monetizing and enforcing trademarks, domain names and copyrights. She is a strategic adviser to clients, structuring IP deals and adapting her legal advice to evolving technologies such as mobile apps and social media sites. She works with clients to understand their risk tolerance and develop practical strategies and best practices suited to their goals. Often, this involves filing civil lawsuits or pursuing criminal prosecution, especially when enforcing her clients' zero-tolerance policies against counterfeiters. Deborah applies her depth of knowledge to assist clients around the globe with their international intellectual property needs. Highly regarded in her field, Deborah is listed in Chambers USA: America’s Leading Lawyers for Business in the area of Intellectual Property where she has been described as “well respected for her work in the copyright and trademark spaces. She also has expertise advising clients on evolving technologies including social media" (Chambers USA 2016) and is “an excellent attorney — very knowledgeable and very easy to work with” (Chambers USA 2015). She has also been named an "IP Star" by Managing Intellectual Property magazine, as well as in "IP Stars – Top 250 Women in IP." Deborah has been named in World Trademark Review's WTR 1000 since 2014, where she has been described as “boasting a fine-grained understanding of IP matters," and noted as "a brilliant relationship lawyer" (WTR 1000 2018). She is the coordinator for the Intellectual Property, Technology and Media team in the firm's Cleveland office as well as the leader of the firm's Trademark team. Tracks fraudsters administering false coupons and discount cards on the internet on behalf of a restaurant industry client. Is working with the client to develop an action plan to cope with deception, including addressing victims of fraud and the public. Also advises the corporation on advertising concerns and trademark clearance, prosecution and enforcement through cease and desist letters, litigation and trademark oppositions before the Trademark Trial and Appeal Board. Assisted a national manufacturer/retailer in multiple cases of impersonation of the company's CEO. Sought out and removed fraudulent job advertisements created by an impersonator and directed fraud victims to appropriate law enforcement. Facilitated involvement with local and national law enforcement agencies for the inception of a criminal investigation. With a developed understanding of the policies of social media sites, sends cease and desist notices and negotiates with sites to protect clients against unauthorized usage of IP rights on the internet. Represented a client being impersonated on Twitter and strategized to regain control of the persona. Confronted dozens of names being pirated on Facebook for a major international home appliance manufacturer. Sent notices to Instagram to reestablish appropriate control of a client's social media presence. Regularly counsels on trade dress clearance and handles trade dress enforcement through federal courts: obtained an injunction in the Southern District of New York for a shoe manufacturer under trade dress theory and successfully enforced rights against several imitators; obtained a jury trial verdict in the Eastern District of Virginia in a trade dress and copyright infringement case over a line of collectable figurines; and filed a lawsuit in the Northern District of Ohio to enforce trade dress in a line of plush toys. Procures federal trade dress registration, including single colors for tools. Regularly handles copyright infringement matters, such as takedown notices under the Digital Millennium Copyright Act, to protect clients against piracy of their written materials, photographs and audio-visual works. Works extensively on domain name issues and counsels clients in Internet Corporation for Assigned Names and Numbers (ICANN) disputes and recording trademarks with the ICANN Trademark Clearinghouse to protect rights with new, generic, top-level domains. Filed numerous Uniform Dispute Resolution Proceedings against cybersquatters and won or amicably resolved every case. Established a worldwide trademark registration, enforcement and website launch for a famous children's plush toy line and virtual world. Regularly advises on new product clearance. Regularly handles federal copyright and trademark litigation for a major clothing retailer regarding fabrics, clothing and related merchandise, including in the Central District of California. Files litigation in federal courts, including in the Northern District of Ohio, against counterfeiters of certification marks to protect consumers from products falsely marked as having been tested as safe. Served as an expert witness regarding the reasonableness of attorneys' fees in three copyright lawsuits. "IP Stars – Top 250 Women in IP"
Stephen Petras and Deborah Wilcox to Discuss "Expanding Your Business Abroad"
Wilcox Speak at PubCon on "Legal Issues of Domain Names and Trademarks"